Nicolson introduces his neoliberal framework early on, but for me it remains somewhat abstract throughout the book, but I reserve a more substantial critique for the second part of my review. “I see the dangers of academics being exploited as commodities and academia shifting from its intellectual traditions” (p.18), he writes, but to me there is a risk of a circular argument: If higher education is or becomes commoditized, isn’t by definition any academic activity then “neoliberal’? And why then waste all this time and money on inefficient conferences-shouldn’t the line manager ask you to write research proposals instead or attend a “student experience improvement workshop”? Particularly after the first part of the book which consists of detailed case studies of conference attendance, I remain puzzled as to why “neoliberalism” explains conferences-especially mega-conferences of various ‘studies associations’. It might be said in general that conferences are places where buyers come to inspect a product, which might be knowledge, methodological skills or research in progress. (…) Conferences might no longer be a place to make a controversial or political statement, even by chance, in a neoliberal age, where corporate identity and the commodities derived from research are all important (p.35). What is a “neoliberal commodity”? The second part and half of the book adds additional aspects to the conference attendance discourse, but I had wished that Nicolson would have gone a bit deeper into key aspects. He points out important aspects of the academic conference industry-but some of his observations seem a bit tame: “An attractive venue may be an added incentive for attending a conference” (p.42), he remarks, or reducing the travel aspect to carbon footprints and a burdensome border/visa regime that emerged just as the book was ready for publication. The civility at conferences that one informant identifies as a “keystone of academic discourse” (p.45) almost seems to hold his own writing back at this point. And his rather positive take on poster presentations and an overall positive notion of “academic socialization” may have to do with different disciplinary perceptions of the value of these commodities. I never understood why networking cannot be organized through a smaller workshop or simply visiting nearby colleagues at work. In his conclusion (“Closing keynote”) he misses important opportunities to challenge the “neoliberal” framework even further: If “time and money are barriers to people being able to travel to and attend conferences” then why not present more detailed data: How much time and money is spent on conference participation? If we randomly assume every participant of a 3000 person conference only spends one work day on the conference, isn’t the loss of 3000 work days a mind-boggling waste of (mostly public) money!? “The impact is often at the personal level” (p.61) seems to me a little bit of cop-out. In the end I fully agree with Nicolson that “the lack of research examining the impact of academic conferences” (p.64) is surprising and that ultimately the “book represents a beginning of a conversation; that is, a possible new focus for research” (p.66). Strictly speaking, my book review ends here. But academic conferences have both been an aspect of my research and my blogging and I want to take this opportunity to add a few aspects from my ethnographic and media and communication background. In my research on peacebuilding conferences, academic or policy-related, in Nepal and Germany I am introducing research on performance studies and ritual economy. I think they add nuances to a broad concept such as “neoliberal”, taking the choreography of events much more into consideration and the rituals of how knowledge is performed rather than simply “sold”. The performative aspect also links to the physical environment: the global chain hotels with their nondescript PowerPoint presentation rooms without daylight create an uncreative environment to seemingly “think out of the box” of daily routines. With reference to Marc Augé, such “non-places” can fulfill various capitalistic expectations, for example creating places for consumption and not for reflections, criticism, let alone political activism. Maybe neoliberal managers are quite happy to send academics to conferences since they know that the revolution will not start in a Hilton Hotel meeting room without Internet access?! I want to mention three more aspects, namely true cost, localization and the role of technology. I still think that a proper analysis of true cost, both direct monetary cost and indirect cost in time is important. The regular annual gathering of the something-or-other association costs hundreds of thousands of dollars-for, to put it bluntly, an all male panel where someone shares published research from their recently concluded project. Conference travel is not just about tourism. 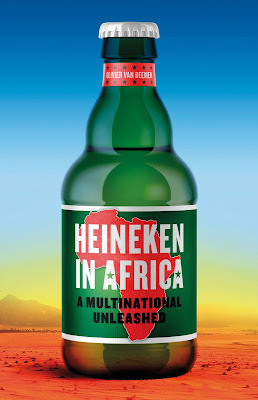 It is also not just about food, culture and a comparative study of craft beers: Many social science conferences struggle with the disjuncture of the globalized conference venue and real local developments, activism and politics. Plus, there are tons of issues around inequality, global solidarity and the paradoxes of neoliberalism: Adjunct and sessional faculty may be unable to afford conference participation-but what would they really gain from the depoliticized gatherings waiting in the coffee queue? Technology is an aspect that has popped up on this blog more than once. The unwillingness of many associations to embrace the digital age and increase diversity is a core problem of most conferences: They want the income from participant fees, they want as many people as possible on site to create fake exclusivity by switching off the wireless network. When pointing fingers at university managers or research funders in the neoliberal age we should not forget the role of associations that fuel unsustainable and uncreative gatherings. 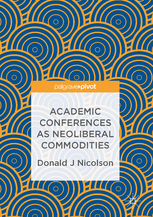 Nicolson, Donald J: Academic conferences as Neoliberal Commodities. ISBN 978-3-319-49190-5, 78pp, GBP 29.99, London: Palgrave Macmillan, 2017. I am grateful to Tobias for his review, which gave me plenty of food for thought. My goal here is one of clarification re his points. When I think back to why I chose to write about conferences, I hoped that like conferences themselves, it could introduce me to a new audience. Tobias considered that I “risked a circular argument re commodities and neoliberal”. To be honest, I had not considered it that way, which shows my failing in not producing a sounder argument. He then makes the argument that “why … shouldn’t the line manager ask you to write research proposals instead or attend a “student experience improvement workshop”?” This is a plausible point, but I have in this respect shown a more positive take on conferences. As I stated in the book; there were times when I wondered if a con-ference was really worth the hassle of travel to attend. As I said on pp 61: “Sometimes the impact is not immediate, but only occurs months later when something is read and related to what was said at the conference, producing a light-bulb moment for the academic.” Even now I can still pull out something from a conference, that I had not realized at the time, which I consider made it worth being there”. It might be what something which I consider in light of something in the now. I think this is an important value from attending such an event. Some might argue they do not have time or luxury to wait for such a “light bulb moment”. That I have used this argument again I hope show that it is not a “cop-out”. Tobias stated that “Particularly after the first part of the book which consists of detailed case studies of conference attendance, I remain puzzled as to why “neoliberalism” ex-plains conferences-especially mega-conferences of various ‘studies associations’.” I thought I had offered examples of how each case study (and not just CS5) could be seen in relation to neoliberalism. CS1 – the conference being an example in a speculative area which could not so easily have a financial value attached. CS2 – not an example of a luxury academic debate, but one which was tangible, with real life economic conse-quences. CS3 –an example of a conference as a market, selling a product. CS4 – confer-ences in competition rather than cooperation, which might be said to reflect neoliberal tenets. My apologies if these are not clear. Tobias says that he thinks “The civility at conferences that one informant identifies as a “keystone of academic discourse” (p.45) almost seems to hold his own writing back at this point”. I would say in reply that there are probably many people who knew/know me who would welcome this! If this is the case, I can only assume it is a sign of maturity. Normally at a conference. I have been known to be what I like to call ‘Dutch direct’ – I am not one to hold back on a question or criticism. Sometimes they were insightful. Sometimes not helpful perhaps for me to have asked. Tobias proposes that “In his conclusion (“Closing keynote”) he misses important opportu-nities to challenge the “neoliberal” framework even further: If “time and money are barriers to people being able to travel to and attend conferences” then why not present more de-tailed data…” This is a fair point, and it would have given more metal to an argument. But my book was driven by my own and others experiences. I don’t think making this point, right as it might be, would have mapped onto this well. And I could say that given no doubt the vast majority of the 3,000 audience work more than the 39-hour week, in the round the Universities have them working more days for free than those lost at a seem-ingly useless conference. Tobias last points re my book entirely chime with my initial intents, so in that respect I think I have achieved my goal. • Ultimately the “book represents a beginning of a conversation; that is, a possible new focus for research” (p.66). • If Donald Nicolson’s book can achieve one thing, then hopefully more discussions on the purpose of academic conferences across disciplines, privileges and ine-qualities!